On Tuesday morning, 7 July 2015, Israeli gunboats chased and opened fire at a Palestinian fishing boats. They also arrested 6 fishermen, and confiscated 3 fishing boats. The Palestinian Center for Human Rights (PCHR) observed that Israeli forces escalated their attacks against fishermen in the Gaza Strip sea and documented the following during last week: four fishermen, including a child were wounded; 14 fishermen, including two children, were arrested; and three fishing boats were confiscated. As a result of these attacks, fishermen were denied their right to sail and fish freely in the Gaza Strip sea. 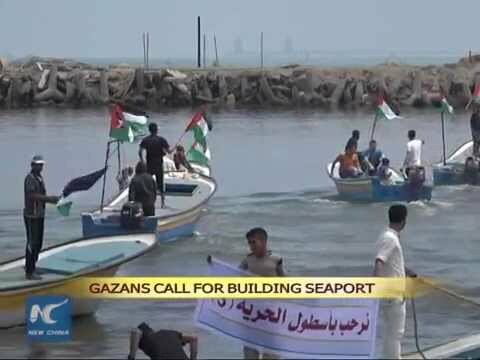 According to investigations conducted by PCHR, at approximately 06:00 on Tuesday, 7 July 2015, Israeli naval forces stationed off al-Sudaniya shore in the northern Gaza Strip opened fire at 2 Palestinian fishing boats carrying 4 Palestinian fishermen on board and sailing within three nautical miles off al-Soudaniya shore. Israeli naval officers, who were on board of two gunboats, forced the four fishermen to stop working, jump into the sea and swim towards one of the gunboats. Eventually, the officers arrested them and confiscated the fishing boat. The arrested fishers were identified as: Kamal Rushdi Saleh Abu Warda(45); his son Refaat Abu Warda (21); Refaat Zayed Mahmoud Zayed (26); and his brother Medhat (23). They are all from Gaza City. The fishermen are still in custody. In another attack on Tuesday also, at approximately 07:30, a Palestinian fishing boat carrying two fishermen, identified as Ramadan Saleh Rushdi Abu Warda (37), and his son Mahmoud Mohammed Rushdi Abu Warda (26), tried to go together to fishing nets pieces that belong to the above-mentioned fishermen, referred to in the first incident. Israeli gunboats forced the fishermen to jump into the sea and swim toward one of the gunboats, arrested them and confiscated their fishing boat. 4. Calls upon the international community, including the High Contracting Parties to the Fourth Geneva Convention 1949, to intervene in order to stop Israeli attacks against Palestinian fishermen and allow them to fish freely in the Gaza Strip sea.